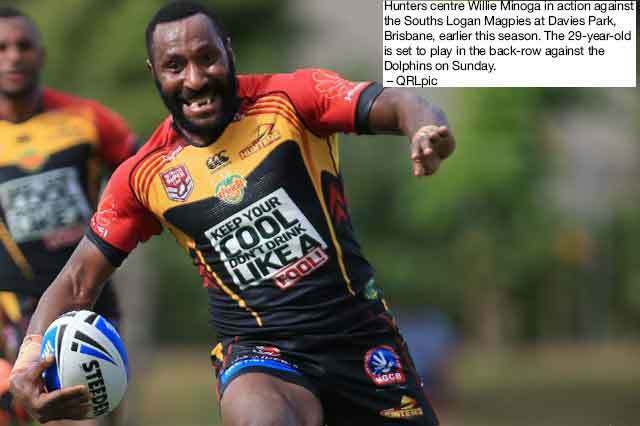 PNG Hunters coach Michael Marum has rested Willie Minoga for this weekend’s must win final Round 24 Intrust Super Cup clash against Central Queensland Capras after sustaining a groin injury during last Sunday’s win over the Wynnum Manly Seagulls. Thompson Teteh returns and will take his spot in the centres. The rest of the starting line- up remains unchanged. Utility back Adex Wera becomes the 2nd player after Wartovo Puara Jr to reach the 100 games milestone for the SP Hunters in the Intrust Super Cup when he runs out in the No.4 jersey. Coach Michael Marum will finalise the travelling 18-man team this evening before the team leaves for Brisbane tomorrow.